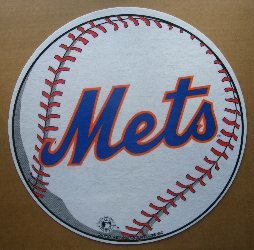 Full color logo on a baseball shaped pennant. Size is about 15" wide. Made by Rico Industries.